Welcome to the 2015 version of Three Times A Charm. Each year I add some new questions to freshen up the interview and keep some of the old favorites. Our first guest of the year is John McFarland. Thanks for joining us, John. Would you please tell us a little about yourself? My first novel, an historical horror story, The Black Garden was published in 2010 to universal praise. My work has appeared in The Twilight Zone Magazine, Eldritch Tales, National Lampoon, River Styx, Tornado Alley, and in the anthology, A Treasury of American Horror Stories. 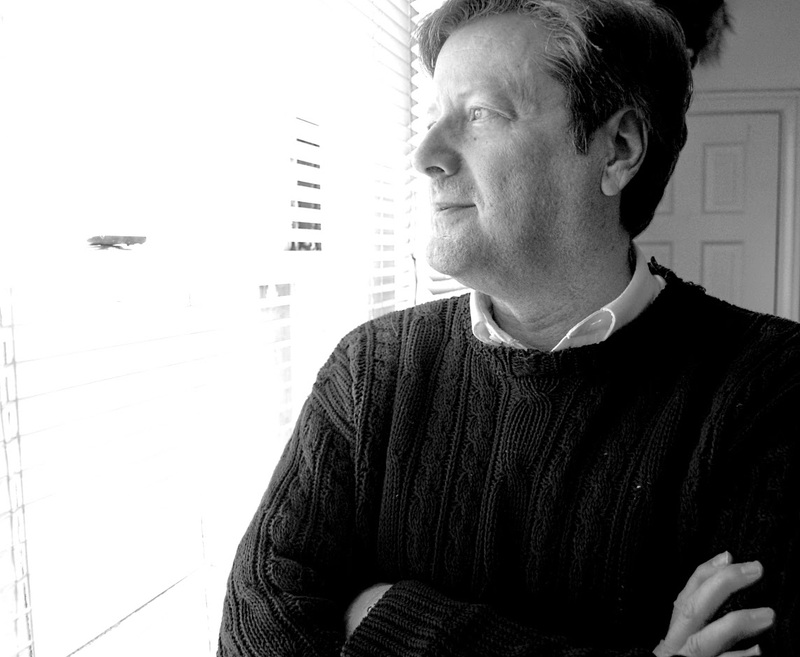 I have written extensively for magazines and newspapers on historical and arts-related subjects and have been a guest lecturer in fiction at Washington University in St. Louis. I admit it, I am a lifelong Bigfoot enthusiast, or at least I have been since the age of ten when I discovered a story on them in one of my grandmother’s magazines. Annette: A Big, Hairy Mom is his first novel for young readers. Please tell our readers about Annette: A Big, Hairy Mom. Annette: A Big, Hairy Mom, is a richly illustrated, slightly ironic young reader novel in the best tradition of Roald Dahl. It is funny, poignant, wry and character-driven, as well as quickly-plotted and suspenseful. Evan Nestor Bettancourt, is a small-for-his-age eight year old slow to realize he is not a little kid anymore. He is imaginative, curious, and warily fascinated by the monsters in his story books. He is also particularly selfish and spoiled. His father, a high school biology teacher in a mountain town in northern California, encourages his son to see the practical, scientific side of life, and not worry about the fanciful creatures which live in his imagination. 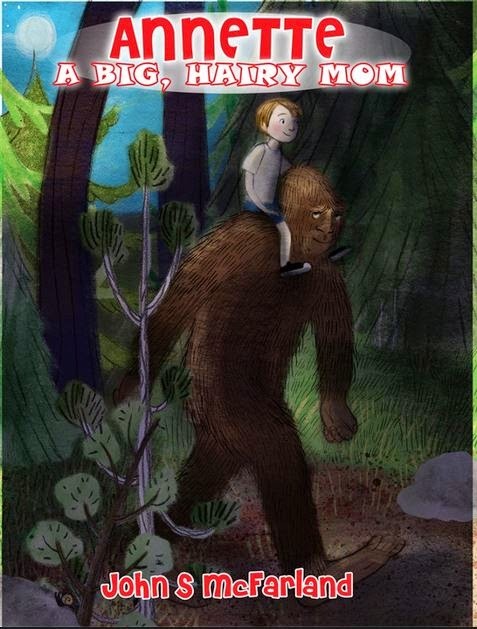 On a family outing, Evan Nestor is lost in the woods, and just as he starts to wonder if he will ever see his parents again, he meets one of those creatures: Annette, a sasquatch mom curious about the odd ways of humans, and missing her own child who has grown up and gone off on his own. Pursued by a sweets-loving cryptozoologist who wants to reveal Annette’s existence to the world, and a hungry mountain lion, the unlikely pair make their way to a spot where Annette knows Evan Nestor will be safely found by his own kind. What they learn about sharing, empathy, and each other along the way, prepares them for many adventures to come. My historical horror novel, The Black Garden was published in 2010 by The Patrice Press, and was universally well-reviewed both nationally and internationally. It is also available on Amazon.com and Barnesandnoble.com. Now it is time for the three’s. Give us your top three answers to the following questions so we might get to know you better. Hmm, just three favorite books. I would say Frankenstein by Mary Shelley because it is a horror and metaphysical masterpiece which teaches valuable lessons about compassion and responsibility. Huckleberry Finn by Mark Twain because it is the seminal American novel, and understands the souls of this country perhaps better than any other. The Little Stranger By Sarah Waters because it is a modern classic ghost story. Top 3 most admired people and why you admire them. First, Malala Yusefsai, the young woman shot by terrorists in Pakistan for wanting an education for girls. She is so much braver and more honorable than those who would hurt her. Second, Shakespeare. An incomparable genius who held a mirror up to human nature. Third my son Evan who at 19 travelled alone to Africa to volunteer in an orphanage, and at 20 moved alone to New York to study acting. Movies, reading and dinner out with friends. John, where can our tech savvy readers find more about you and your work? Thanks for joining us on this week’s Three Times A Charm, John. Best of luck to you and your books. GUESTS WELCOME! I’m always looking for guests for Three Times A Charm. If you are an author, illustrator or book reviewer, an agent or an editor. If you have something related to children’s publishing that you’d like people to know about, feel free to contact me about a future appearance.